US-based ride-sharing operator Uber is planning to sell its Southeast Asian business to Singapore-based rival Grab, according to a report by American financial news broadcaster CNBC published February 16. In exchange for its Southeast Asian business, which already covers eight of the 10 member-states of the Association of Southeast Asian Nations (ASEAN), Uber will acquire “a sizeable stake” in Grab. CNBC said that no deal has been reached yet and that the timing of the deal is uncertain. Uber’s move to sell its assets in exchange for a stake in a rival regional ride-sharing company is similar to a previous deal in China, where it sold its Chinese unit to rival Didi Chuxing in exchange of a 20-percent stake in the company. Today, Didi serves over 400 million users in the Chinese market alone and is planning to expand its operations to other countries. 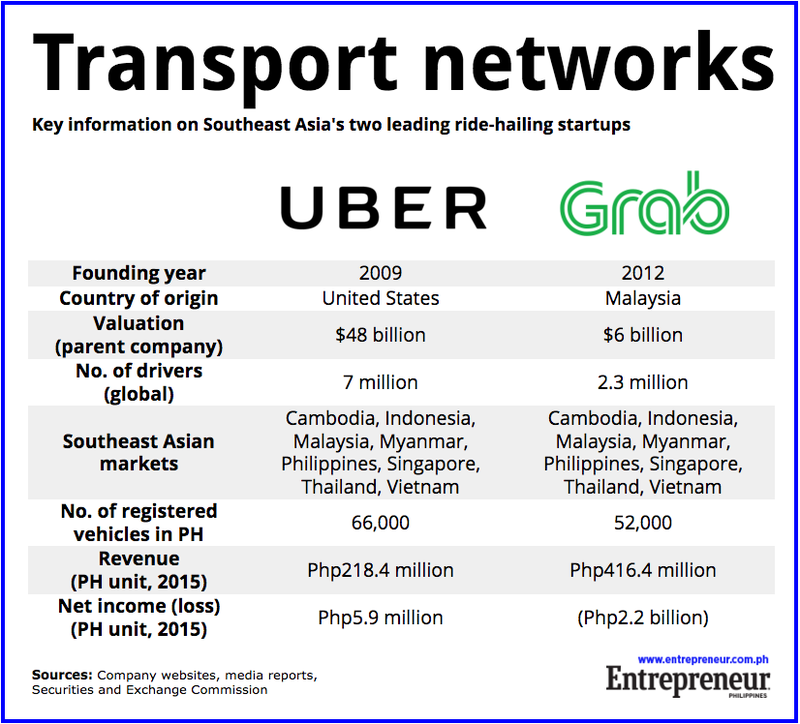 Both Uber and Grab currently operate in eight Southeast Asian countries, including the Philippines. As of end-2017, Grab had over 2.3 million drivers across its eight markets, while Uber reportedly has about seven million drivers around the world. In the Philippines, Uber had 66,000 registered drivers as of August 2017, while Grab had 52,000 in the same period. Both have faced multiple regulatory challenges in its bid to expand in the country, but they have continued to position themselves as an alternative to local taxis. Uber and Grab have not commented on the report. “We currently do not have any comment on rumors and speculation regarding this issue,” said Krhizzy Pasigan, public relations manager at Grab Philippines, in response to a request for comment. Uber issued a similar statement according to a report by Singaporean newspaper The Straits Times last February 17.